On April 10, at 22:31 an emergency call was received to “911” service that a resident was near Haghartsin Monastery and her friend was lost in the forest near the monastery about 2 hours ago and couldn’t get in touch with her: the rescuers’ help was needed. A fire unit from the fire and rescue squad and the operative group of the regional rescue department of the rescue service of MES of RA dispatched to the scene. 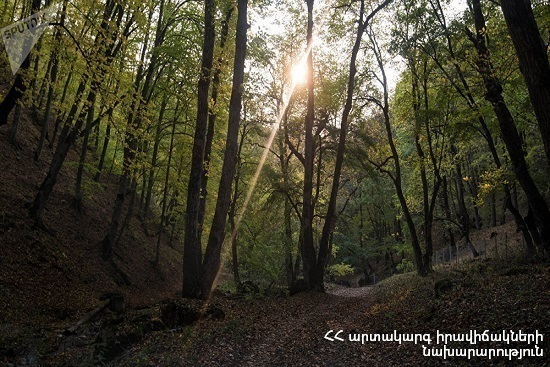 The rescuers and the police officers of Dilijan division found the lost resident of Praha (M. B. born in 1983) in the forest near Haghartsin Monastery safe and sound. Police officers of Dilijan Division were involved in search and rescue activities.